A summer time BBQ enjoyed over the 4th, even though the Cooking Light original July 2013 recipe is broiled 🙂 Very easy with little prep time. 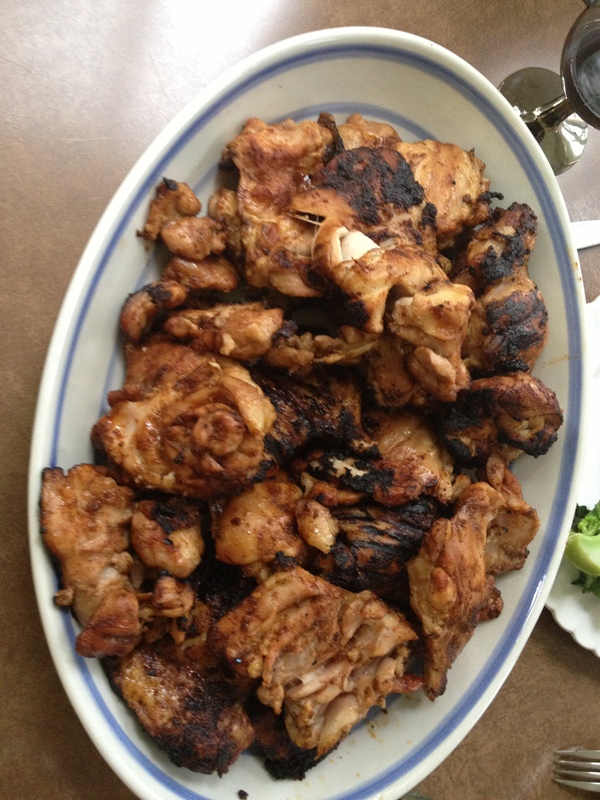 Spread the mixture over 12 boneless skinless chicken thighs BBQ over hot coals with the lid on. Turn after 10 minutes and BBQ another 5 minutes. Check for doneness. Posted in main dishes and tagged BBQ, Rub, Spiced. Bookmark the permalink. Wow these BBQ chicken thighs must taste really nice. Thanks for sharing and have a lovely week! !